Pricing is one of the most complicated aspects of the payment processing industry. The price structure is mostly controlled by the major card brands – Visa®, MasterCard®, Discover® and American Express®. We can’t control how they set their pricing but we can ensure the fees we charge are clear and reasonable, and we can do our best to help you understand how pricing works. 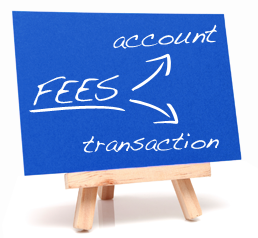 We do think it’s reasonable for electronic payment processing companies to charge a small fee for each transaction. Although credit card processing has become an accepted commodity, it’s actually quite amazing for two complete strangers (i.e., a customer and a merchant) to be able to exchange funds with complete confidence using a small plastic card. Application Fee: This is a fee charged to process a merchant’s application. Since an application for merchant services generally requires a sophisticated underwriting process, merchant services companies have to conduct a credit check, potentially order a Dunn and Bradstreet report, and often manually review the application and associated business. This underwriting process can often be expensive and time consuming. An application fee is designed to recover the costs of these efforts. Gateway Fee: A gateway is the interface developed by the merchant services provider to connect with the financial services superhighway – the thousands of other financial institutions that exchange money to complete the electronic payments requested by cardholders. A gateway fee is associated with providing and maintaining this gateway. Statement Fee: A statement fee is usually a general account fee and compensates merchant services providers for the cost of the myriad of services required to maintain each account, including: distributing monthly statements, providing customer service, maintaining processing systems, monitoring transactions for fraud, complying with IRS reporting requirements, and more. Telecommunications Fees: These fees are associated with transmitting data from a merchant’s terminal to the merchant services provider. When the merchant uses a portable or mobile terminal, there is often a telecommunications fee. 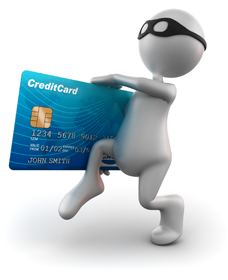 PCI Compliance Fee: This fee can be charged monthly or annually, and compensates the provider for the cost of complying with increasingly complicated security requirements as mandated by the card brands and proscribed by the PCI Security Standards Council (https://www.pcisecuritystandards.org/). These efforts help protect merchants and cardholders from potentially expensive breaches in security. 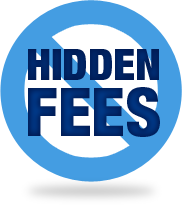 Annual Fee: This is a common fee charged by merchant services providers and helps compensate the company for items such as complying with Internal Revenue Service (IRS) Reporting Regulations, maintaining the payment gateway and related processing systems, and paying various fees to the processing brands as well as other items. Transaction fees are associated with each transaction and are typically split between the merchant services provider and the relevant card brand. Batch Fee: At the end of each day, merchants are typically supposed to ‘settle’ their terminal by sending a list of completed transactions to the merchant services provider. This ensures transactions are processed and recorded properly. A batch fee is often charged for receiving and processing this list of completed transactions. -	Interchange - the portion of the discount fee charged by the relevant card brand to process the transaction. Interchange fees vary by card type. For example, a debit card is generally the least expensive type of card to process. The interchange fee can be as low as 1.03% of the transaction. On the other end, rewards cards, which require the card brand to provide incentives to consumers, are more expensive and can cost up to 4% of the transaction. Business cards are typically more expensive as well. A list of interchange fees is published by: Visa®, MasterCard®, Discover® and American Express®. -	Mark-up - the portion of the discount fee charged by the merchant services provider. This can be as much as several percent of the transaction and may vary depending on the customer relationship, the perceived transaction risk, and other factors. Transaction Fee: This a fixed fee charged for each transaction. As with the discount fee, the transaction fee is shared between the card brand (Visa®, MasterCard®, Discover® or American Express®) and the merchant services provider. The card brand sets a fee based on the type of card – similar to how the discount fee is set above. The merchant services provider sets a transaction fee based on the relationship or perceived risk of that transaction. A typical transaction fee might be $0.30 cents with a portion going to the network and a portion going to the merchant services provider. Again, although we cannot control base credit card prices, we hope that this explanation helps make them easier to understand. A credit card transaction requires two fees – a discount fee and a transaction fee. An ACH/eCheck typically only requires a transaction fee. Account Fee: As with card transactions, this fee compensates merchant services providers for the cost of the myriad of services required to maintain each account, including: distributing monthly statements, providing customer service, maintaining processing systems, monitoring transactions for fraud, complying with IRS reporting requirements, and more. Debit Fee: This is the transaction fee associated with each ACH Debit (or payment from a customer to the merchant). It covers the cost of processing the transaction and ensuring the funds are transported from the customer’s bank account to the merchant’s bank account through the ACH network. A debit fee typically ranges from $0.15 to $0.95 depending on the the merchant’s business model and perceived risk of their average transaction. Credit Fee: This is the transaction fee associated with each ACH Credit (or payment from a merchant to a vendor, employee or other third party). It covers the cost of processing the transaction and ensuring the funds are transported from the merchant’s bank account to the proper receiving bank account through the ACH network. A credit fee typically ranges from $0.15 to $0.95 depending on the relationship with the customer and perceived risk of their average transaction. Credit fees can be higher than debit fees because they are often associated with larger dollar amounts which have higher risk to the merchant services provider. Discount Fee: A discount fee is not a discount but a percentage of the transaction charged by a merchant services provider to compensate for higher risk associated with certain transactions. Merchant services providers are legally responsible for each ACH/eCheck transaction and can be forced to pay for a fraudulent transaction. Higher risk industries and transactions are typically charged a discount fee. For more information about electronic payment pricing, please contact a member of our customer support team.